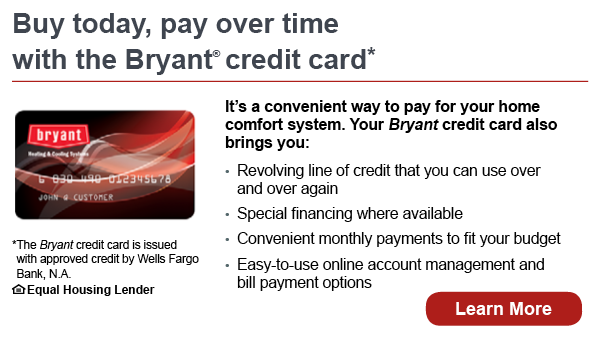 Financing options for the cost of repairs, or a brand new heating and air conditioning system, are available with the Bryant® credit card, issued with approved credit by Wells Fargo Bank, N.A. Many customers desire and enjoy convenient monthly payments. Work with a Michigan Saves authorized contractor to get an estimate on qualifying energy improvements.